No matter who intends to obtain a mortgage loan to purchase a property, the buyers to be need to be familiar with the language in a standard real estate contract that relates to “Loan Conditions.” Most if not all standard real estate contracts have some type of mortgage contingency clause or escape clause that says in layman’s terms that you the home buyer/s have a period of time, typically 21-days from seller acceptance of buyer purchase offer, to actively seek out and provide a mortgage commitment to show, solidify and/or validate your full intentions to purchase said contracted property. a Mortgage Lender issued pre-approval letter. a signed purchase agreement or Real Estate contract between buyer and the seller. a satisfactory appraisal of the property (Buyer lender orders the appraisal). 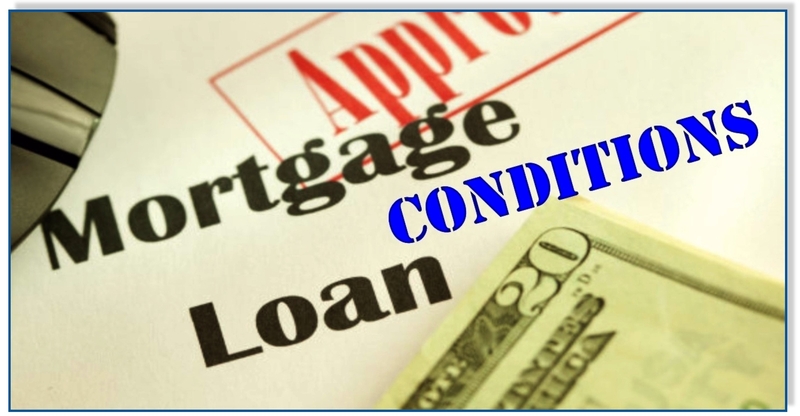 A Mortgage Commitment is the legally binding contract between you and the lender. It’s the real thing…your final approval. Generally the mortgage commitment is non-negotiable and will undoubtedly contain a number of conditions the buyer and/or lender must satisfy prior to closing. The lender does not and will not set up a closing date until any and all outstanding conditions are satisfied by both buyer and lender. The commitment letter on the date of issuance will have an expiration date…. Buyer and lender must apply full effort to assure all outstanding loan conditions are met before the given expiration date. We generally think of a mortgage contingency clause, within the purchase offer, as more of a “buyer aligned” provision, but in reality the clause is meant to protect both the buyer and seller. Typically, a home buyer can either terminate the agreement of sale by exercising the contingency “out option” if the mortgage loan commitment is not obtained by a specific date (ie: contingency period). If a buyer is unable to obtain adequate financing within the contracted loan contingency period, then the buyer must notify the seller via a “Cancellation of Contract”. On the other hand, depending how the mortgage clause is drafted, the seller party may also be granted the right to terminate the agreement of sale if for example: The loan commitment is not obtained by a specific date or if the commitment contains conditions which could result in the loan not closing on time or having all the characteristics that it will not close at all. In this case sellers are also allowed to cancel a contract and re-market the property, therefore sellers can officially cease working with a buyer that has proven that they are unlikely able to obtain the Loan / Close Escrow. * Outstanding Mortgage Commitment conditions vary based on the Loan type. The following are examples of some typical “outstanding Loan conditions” that have a tendency to hold up a mortgage commitment letter or can cause a temporary failure to obtain a loan: (Please note: These conditions are in no particular order). (1) Failure to Show Proof of Employment and Income (at least 2-years period). If you have a break in your employment history or a change of employers, generally most lenders will allow you to make “lateral changes” within your industry. If you made a career change for example from a Teacher (a salaried position) to a Salesperson (fully on commission), then a lender may but more than likely will not proceed with the loan. A lender typically collects your W-2s, 1099s, two of your most recent pay-stubs, bank statements and proof of other assets. You are asked to provide this information during the prequalification/pre-approval process and again right before closing. Lenders will sometimes accept a contract between you and your employer to show future employment in cases where you made a “non-lateral” change. (2) Failure to Show Proof of Rental History: Paying cash for rent is not always a good idea for many reasons and the most important one is that you the 1st time buyer may be asked for proof of rental history payments. You may be asked to show your canceled rent checks to validate payment history. Failure to do so could hold up your mortgage commitment. Sometimes a lender will accept a letter from your landlord alluding to your payment history, but more-than-likely your lender will not do this… if so, this letter from landlord will depend if the “underwriter” will accept that. (3) Failure to account for and/or explain recent large Deposits: For the purposes of a mortgage loan commitment, large deposits are defined as deposits greater than $1,000. Also monies in your bank account/savings need to “sit as in no movement” for a specific period of time. This is known as “seasoning” and that seasoning period is usually at least 2-months. 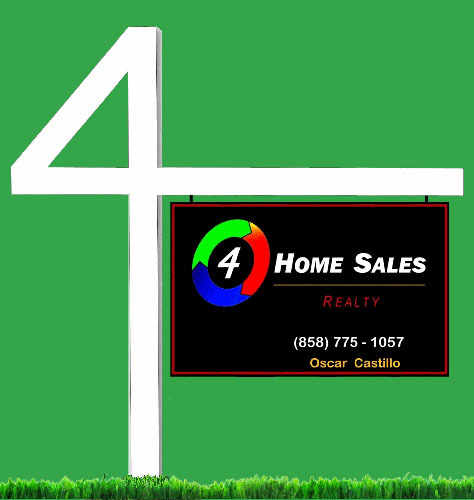 (4) Failure to have a specific equity percentage in your home: In some cases a buyer can borrow off their equity to put as a down payment on another home or in a case of a Re-finance, there is usually a Loan-to-Value (LTV) percentage that is a requirement in order for a refinance to take place. The LTV percentage is most always described as the borrower’s current mortgage balance and most often this balance has to be 80% or lower than the market value of the home that is being re-financed. (5) Failure to satisfy any and all outstanding judgements against you: You must pay off collections, unpaid child support, construction loans and other liens attached to you or your property. If you have a common name, you will be expected to sign an affidavit at closing that says you are not subject to any outstanding judgements. (6) Blemishes in the title search or breaks in the chain of ownership. A break in the chain of ownership must be accounted for. (7) Depending on loan type a lender may require certain repairs to the property prior to closing. An FHA & VA appraiser is required to also inspect ALL interior and exterior surfaces of the property, such as walls, stairs, deck, porch, railing, eaves, windows, doors, fences, detached garages and other outbuildings and appurtenant structures for defective paint surfaces (i.e. chipping, peeling or flaking paint) and report defective conditions in the appraisal report. For condominium units, the appraiser needs to inspect the interior of the unit and exterior surfaces and appurtenant structures of the specific unit being appraised. Failure to make timely repairs have been known to hold up a mortgage commitment and delay closing. (8) Lender may ask you to provide a Clear Termite Certificate (aka: Termite Clearance) indicating the property has been treated for termites and/or repairs from termite damage have been completed. (9) Appraisal does not support purchase price. In this case, you may have to renegotiate price with seller, make up difference or cancel contract. (10) Failure to pre-pay a homeowner’s hazard insurance policy in the amount of the replacement cost value of the home. (11) Failure to acquire adequate flood insurance, if necessary. (12) Failure to Provide the Certificate of Occupancy from township: This may or may not be collected by lender, but it could be necessary to transfer title. If it is a requirement and if you do not have this certificate, your closing may be delayed. (13) If the property is a condo or townhouse with an association, a lender may ask for proof of insurance for common areas within the complex, HOA reserved fund balance, number of owner to tenant occupied units as in a percentage of owner occupied units, property management information, evidence the association is not subject to any lawsuits or pending litigation, any pending litigation as it relates to the buildings on both structural or non-structural safety issues. Keep-in-mind that generally the Condo Association or Management Company more-than-likely will be asked to fill out a condo questionnaire to provide answers to a number of items that are important to a lender. (14) Failure to explain a large purchase or a new debt before your closing. It is a good rule of thumb not to apply for new credit or spend excessively before making a home purchase, this includes buying a vacation package, financing a vehicle, becoming a co-borrower on another person’s personal loan and/or a relative’s student loan etc. (15) Fluctuations in your credit score before closing. Lenders will verify that your credit score has remained the same since the time of your original application. (16) Expiration of your original mortgage commitment. In order for ownership of real property to be transferred, the subject property in which the buyer intends to buy & the owner intends to sell must be free and clear of any and all outstanding liens. Most liens can be cleared up via the Escrow process (ie: settlement monies from sale go to pay-off these liens). Just keep-in-mind that factually a sale or closing might be held-up and/or delayed if during the final title search, prior to close of escrow, an expected lien is uncovered such as unpaid HOA fees, unpaid collection agency, unpaid spousal or child support etc.